Looking for a two-tone accessory to elevate your look with a pop of color? 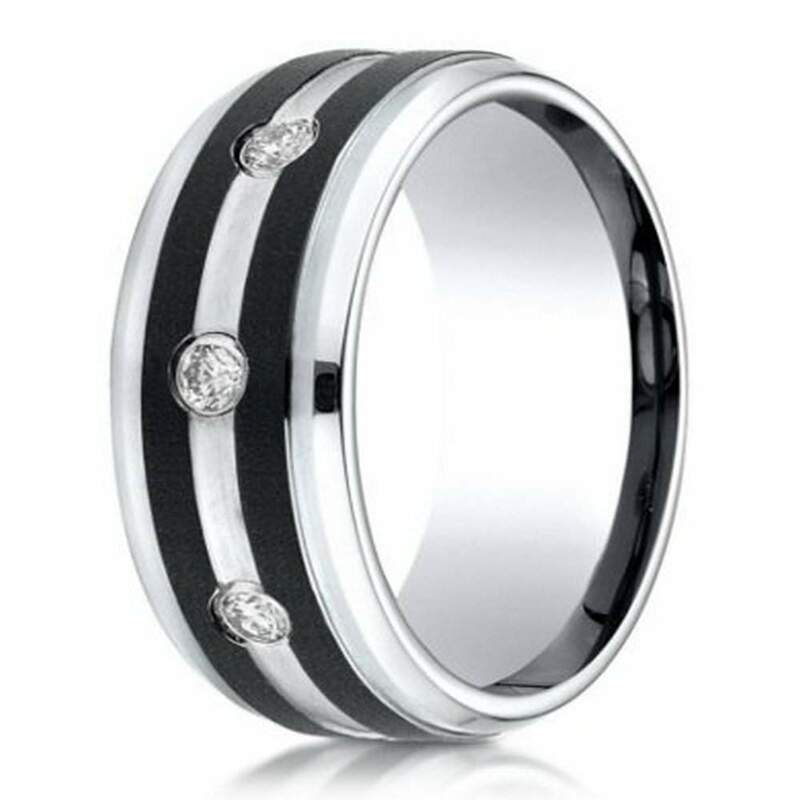 Look no further than our designer two-tone cobalt chrome men’s ring with diamonds. Our 9mm designer two-tone cobalt chrome men’s ring with diamonds offers a permanent luster that will never fade or discolor over time. Best of all, cobalt chrome is extraordinarily resilient, shatterproof, scratch-resistant, and bio-compatible. 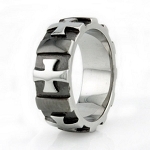 We have great news for men with skin sensitivities to metal alloys – cobalt chrome is hypoallergenic and safe to wear! The stunning diamonds add a subtle sophistication and feature a clarity between Si1 - Si2 as well as a total carat weight of 0.20. Our designer two-tone cobalt chrome men’s ring with diamonds will positively gleam when worn as an everyday fashion ring or a wedding band. 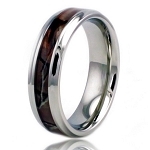 Each groom deserves a wedding ring that speaks volumes about his romantic commitment. With clean lines, a little bit of sparkle, and polished edges, we guarantee he’ll be smiling from ear to ear on the big day with this ring as an enduring choice. Each 9mm designer two-tone cobalt chrome men’s ring with diamonds is designed in a comfort fit style to accommodate larger knuckles. In the event of an emergency or swelling, cobalt chrome rings can be cut off. 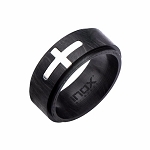 Comfort fit bands usually measure a half size smaller than traditional fittings, so we recommend that you have your finger sized at your local jewelry store to ensure that a comfort fit ring is right for you and your needs. Have questions? Contact JustMensRings.com today for further assistance.